Are you ready for some fun? Yes!!! It’s our one year anniversary. We are so happy to have you join us in the fun. Yes, it’s been one year since Sweet Sketch Wednesday arrived in Blogland. It’s hard to believe as the year has passed by so quickly. Thanks to all of our dedicated players and followers and to the best Design Team ever. Come on and let’s have some sweet fun. So, pull up a chair, grab a refreshment of your choice and join us in Sweet Sketch Wednesday’s Anniversary Blog Hop. Digi Stamp Boutique is our main sponsor for this celebration…offering 12 prizes in all. Since it was our anniversary we decided to ask our past sponsors (Inktegrity, Bugaboo Stamps, Prairie Fairy Designs, Fresh Brewed Designs, Busy Beauties Boutique, Bee Crafty, Soft Pencil Digital Stamps, Delicious Doodles, MyGrafico and The Stamping Boutique) and we were overwhelmed with their support to celebrate. They will also be adding their prize to this fabulous week. The winning images will be awarded at the end of the Blog Hop. Let’s get hopping!!! 4. By doing this, you will have a chance to win an image from Digi Stamp Boutique or one of our other sponsors image. 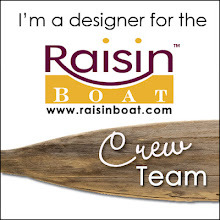 That means you will have 22 chances to win a prize as there will be two prizes on each Design Team Blog. 5. After participating in the Anniversary Hop, create a card with the Anniversary Hop Sketch or create an altered item. Then post it on Inlinkz. 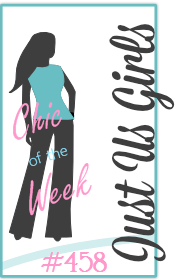 Completing all five steps will qualify you for the Grand Prize from Digi Stamp Boutique on the Sweet Sketch Wednesday blog. 6. For those that complete 1 through 5, you can also have another chance to win another sweet prize by participating in Arlana’s “Blast from the Past!” Instructions for participating in the “Blast of the Past” are posted on Arlana’s blog. 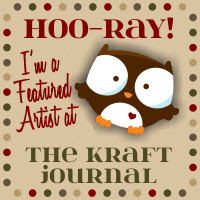 Start at Arlana’s blog to see her creative blog hop cards. 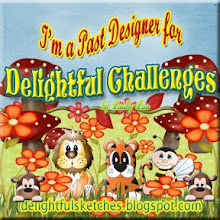 Then hop on over to the next blog, in order, to see all of our DT’s fabulous creations. 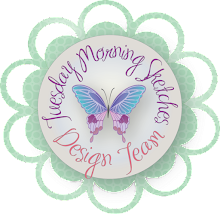 The next Design Team name will be posted on each blog so that you will be able to follow from one blog to the next. i.e: from here hop to Terry’s blog. Happy hopping and thanks for joining us for our One Year Anniversary Celebration. Hoping to see your creations too….Hop to it! Hi Melissa, I just love your card this week. I love the paper piecing and the red dotted paper you have used. Super cute card! Oh it's stunning Melissa, what a great idea. I'm always trying to bang in as many papers and colours as possible but this is just so elegant and effective! Must try it out. Happy Anniversary Blog Hop! Good morning Melissa! I am loving your card this week. The red and white are so striking!!! Paper piecing is one of my favorite things and you really did a wonderful job on this! I LOVE LOVE this! The red and white just pop, her paper piecing is fantastic and the layered dp is inspirational! Beautiful card. ***BRAVO**** Mel you rocked this one!!!! I love me some polk-a-dots! This is stunning! Fun, fun, fun card! I love the red polka dots! How cute! Adorable card Mel!! Love the red & white and paper piecing!! Happy Anniversary SSW!! Hello Melissa, Your card is adorable. Love your paper piecing and fun colors. I love the poka dots. Have a sweet day. Fun new pic og you too!!!! Love your card Melissa!!! The color combo of red and white is gorgeous! I just love the polk a dots and the paper pieced dress is perfect. Love the new pic on your blog too!! Hi Melissa - I love this card, the colour scheme is fab! I'm enjoying my first ever bloghop! Happy anniversary. You gotta love paper piecing, right?! This is just adorable! Oh Melissa, how GORGEOUS is this card! 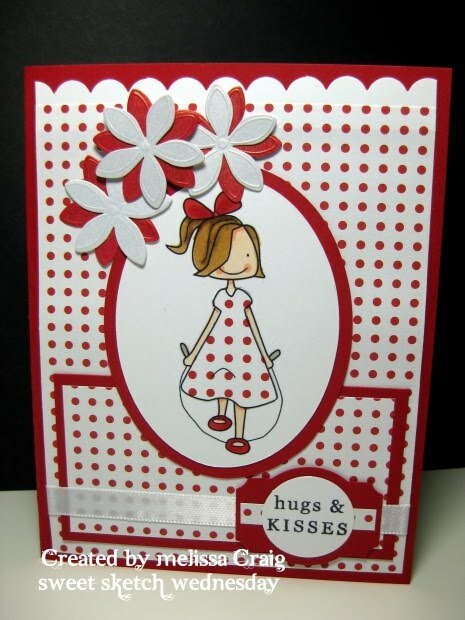 I just love polka dots and that paper piecing is just perfect with your layout. Oh, look at the flowers - gorgeous, gorgeous, just gorgeous! I love how you make your cards come alive with such perfection! You really know how to craft - look at the scalloped border in the background; just gorgeous! Awwww!! What a sweet image and card!! I love your paper piecing! The red and white really make the card. I already am a follower! Melissa, I just love this red polka dot! Perfect for paper piecing her dress! Those Michael's flowers are the perfect touch to your card! Love your new blog look and your new picture! Happy Anniversary! Very pretty! The red & white combo is just stunning. Wow, love this. All the red polka dots are so fun. And I love paper piecing so this is one of my fav cards. TFS! Gorgeous card - love the way you've used just one paper for the layers! Wow! I love this! Love the punch you used for your sentiment too. Ohhhhh how sweet, Melissa! I love the red and white - great color choice! Beautiful card. Love the red & white. Just love your card, Lilly is a so cute I also have this image one of my first digi's I bought. Happy Birthday to SSW.